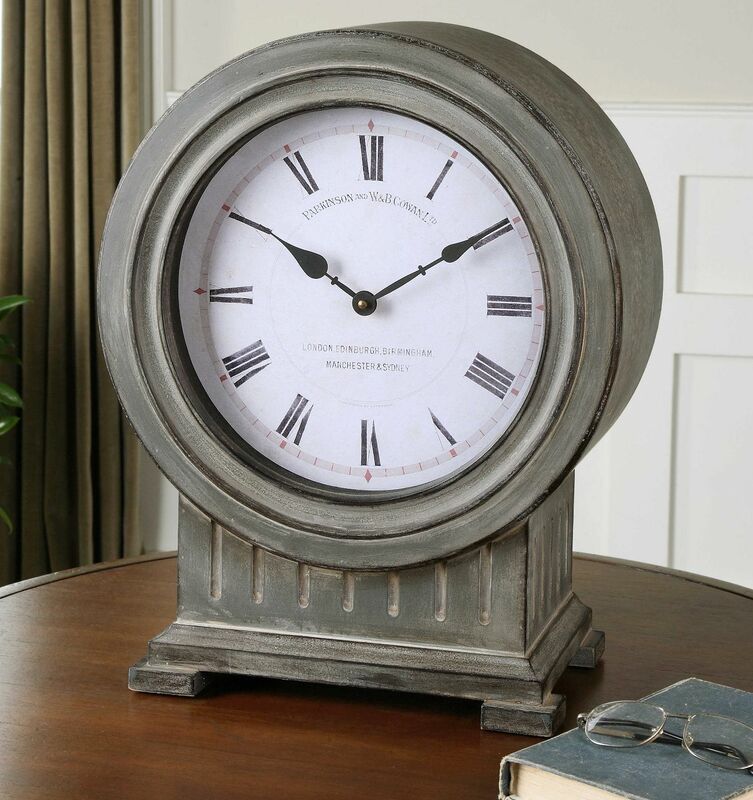 Nice designed mantel clock with an Antiqued, dusty gray finish with burnished edges. Quartz movement ensures accurate timekeeping. Requires one "AA" battery. Designed by Steve Kowalski for Uttermost. 15" x 19" x 7"